And it should be. But hear me out before you send the hate mail. You’ll likely think I’m talking about Styrofoam – which is in fact incorrect – as Styrofoam is the trademark name for the extruded polystyrene (XPS) blue sheet product manufactured by Dow through a chemical foaming process that uses a number of different gases and additives I can’t even name or define. There is some pink XPS out there made by other manufactures using the Dow process – but it’s not EPS either. This misconception is the first thing I hope to clear up with a post today. Expanded Polystyrene (EPS) is the white stuff – the bead board – the stuff that’s got a bad rap from being in coffee cups and packaging and the white peanuts that surround the new items you buy online when the package comes in the mail. Its made with Polystyrene – the plastic – and air. There is a bit of pentane right at the start of the manufacturing process in the raw bead form (2-4%) but after processing that material with only steam heat to create final products – EPS is a 100% totally inert plastic product with no off gassing or emissions of any type to affect your environment. When understood, that pure end product and environmentally friendly process still doesn’t seen to clear the bad rap that EPS gets from the populace. There is of course still the BIG issue everyone has with it – it lasts forever, fills up our landfills because you can’t squish it down, and of course every environmentalist knows that it can’t be recycled. Except that is wrong. Every scrap of EPS can be recycled efficiently and properly with machines and technology that likely exist right now in the same are you live, and in fact huge volumes of EPS are recycled everyday by manufacturers like myself that make the big volume products – insulation and systems for the construction industry. Those products keep your homes and businesses warm, make better buildings that last longer, are easy and cost efficient, and overall contribute more to the positive aspects of environmental responsibility than (in my opinion) pretty much anything else used in buildings today. With new energy codes being introduced into many jurisdictions and the desire of end consumers to have more energy efficient homes and buildings, its a logical and readily available solution to provide better buildings at better prices. There is of course a number of studies and an amount of research I can quote on the products adaptability, the construction disciplines that use it, why it is better than traditional products in various uses, and how it outperforms other products trying for the same quality and efficiency. But thats a lot of writing and I think I’d rather start the conversation than quote the research. In the World, or even just the North American EPS Industry – my company and many companies like me are just dots. But we’re good dots. We care about the same environment that you do and make products to meet your expectations to be better, cleaner, greener, and responsible for the future. Take a moment to do a search for EPS companies in your area. And follow them to. 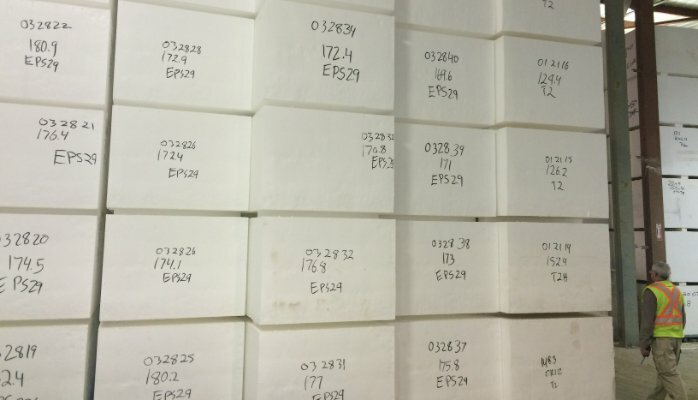 Use a search engine to just look for EPS insulation or something similar, and read up. Then come back and reply or write on this post and let me know what you think. Is a great conversation and I’d like to get it going.